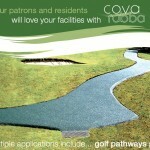 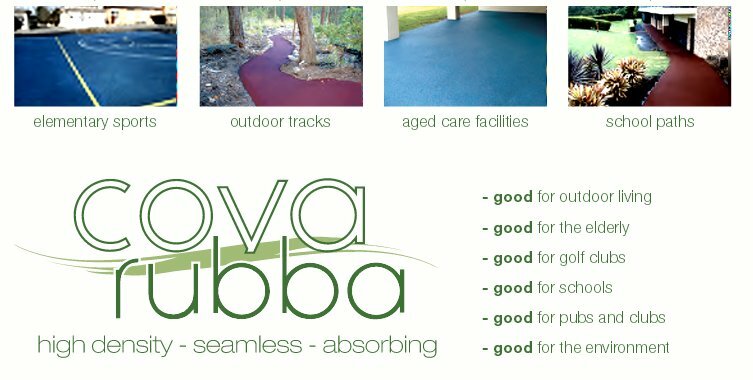 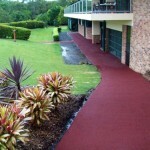 Cova Rubba is the latest innovation in wetpour rubber surfacing specifically designed for schools, patios, aged care facilities and golf paths or wherever an outdoor protective surface is required. 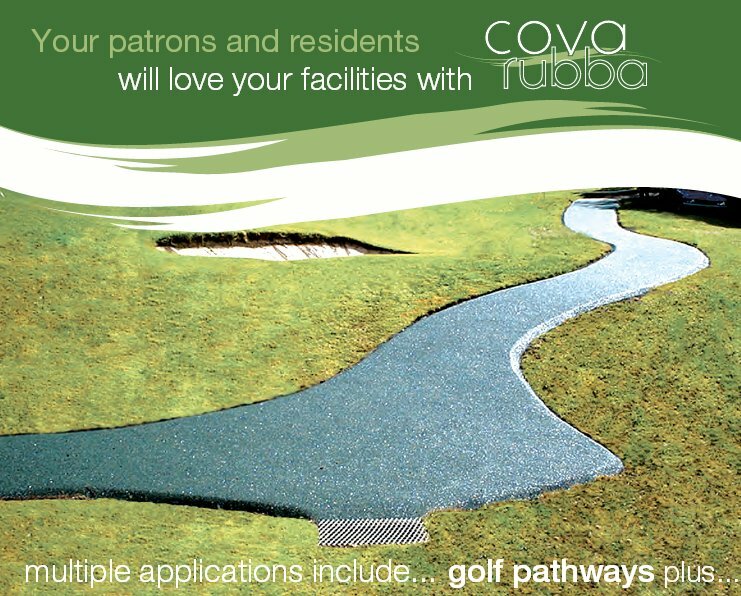 Cova Rubba is an intricate, close- knit, network of small EPDM or CSBR granules that form a less porous surface than conventional rubber wetpour, this reduces the chance of water and sun forming mildew and decreases drying time. 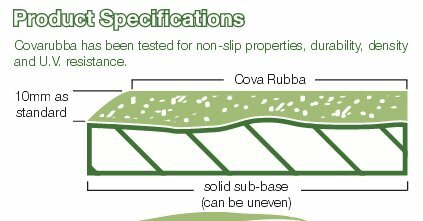 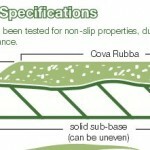 Cova Rubba can be applied in a thinner 10mm layer as opposed to the usual 15mm or 20mm playground surfaces, reducing cost while still retaining a soft, but firm, non-slip surface. 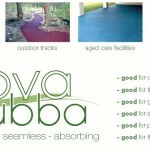 Cova Rubba is available in several rich heritage colours and several light pastel colours which enables the surface area to remain at its lowest temperature possible to accommodate bare feet and gives a bright, attractive, modern finish. 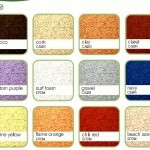 A specially developed range of bright U.V. 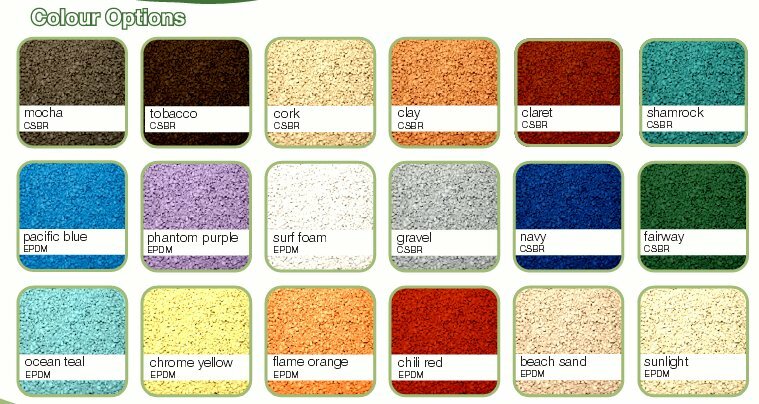 resistant candy colours for features and cut-ins are also available. 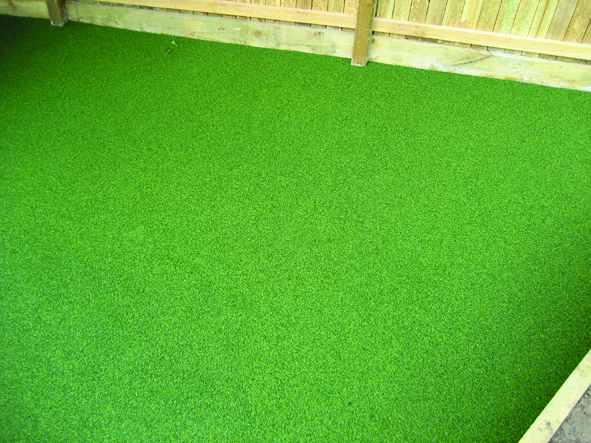 (Please note light colours may vary after installation due to some yellowing of aromatic binders). 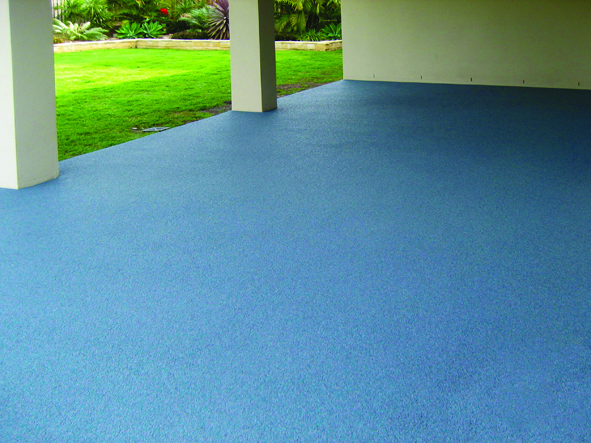 Traqua can be applied directly on new or old cracked concrete or pavers without the added expense of having them removed first, giving a fresh, rejuvenated look to a worn, outdoor living area. 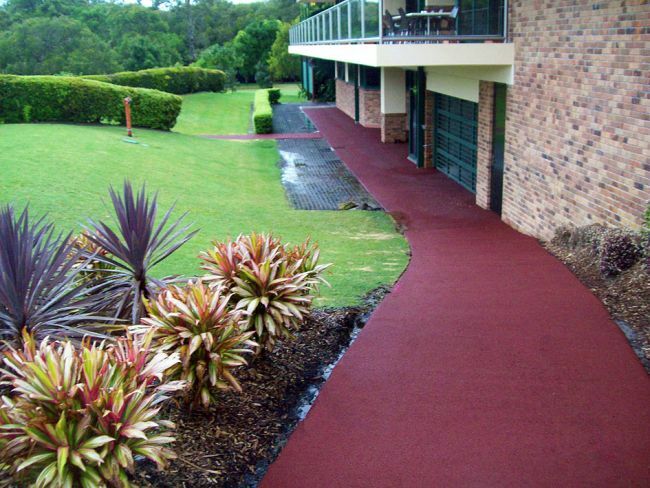 An intricate, close-knit network of small CSBR or EPDM granules that form a tighter surface than conventional rubber wetpour, creating an absorbing but firm surface for wheelchairs, walkers, golf buggies and outdoor furniture, while still providing a cushioned, highly trafficable surface. 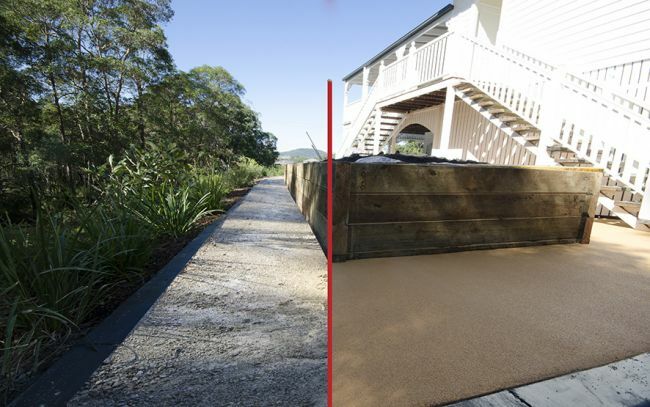 Can be applied at a thinner 10mm layer, as opposed to the usual 15mm or 20mm playground surfaces, reducing costs while still retaining softness and grip. 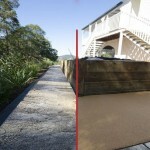 Can be applied directly to new or old cracked concrete or pavers without the added expense of removing them first. 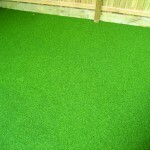 Firm enough to support wheelchairs, walkers, golf buggies, electric scooters and outdoor furniture. 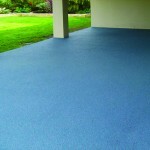 Available in light colours that can allow the surface to reflect heat and remain cool.